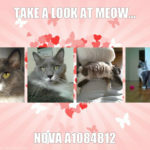 Nova is a beautiful five year old girl who lost her home when her owner died. 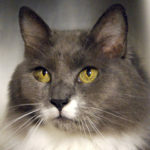 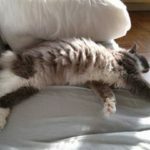 She was pulled recently by Anjellicle Cats and just went to her purrmanent residence. 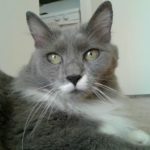 Says Nova’s foster mom, “This adopter tried to adopt Nova directly from ACC but she was ‘rescue only.’ She didn’t give up and adopted her through us instead.” This seems to be a fur match made in heaven as Nova was not tolerating much handling when in foster care. 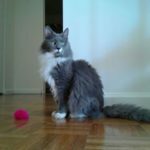 But as soon as she was delivered to her furever home, “She walked out of the carrier without a care in the world and let me pet her several times before I left.” These new pix are from the adopter.